Next time you take your little one to the park, don’t just get a 30 minute walk in. 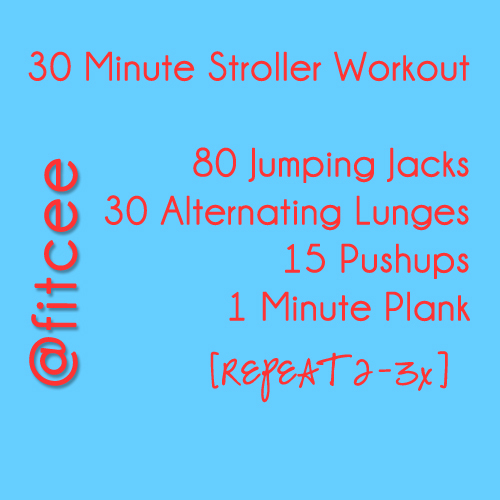 Use this stroller workout to get your heart rate pumping and muscles burning all during your babe’s nap time. In between each exercise, fast walk for 5 minutes. 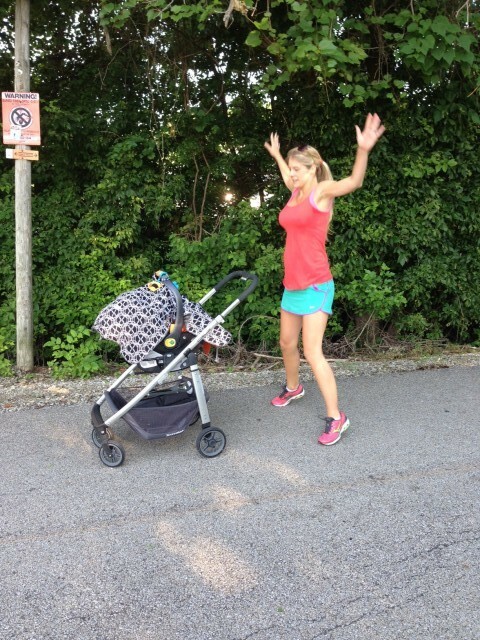 If you have a jogging stroller, feel free to jog the 5 minute intervals. A fast walk is not leisurly, you should be sweating by the end of the 5 minutes. Warm up with a brisk 5 minute walk around the park. Fast walk for another 5 minutes and then complete 30 alternating lunges. 5 More minutes of walking, and end with 15 pushups and a 1 minute plank. 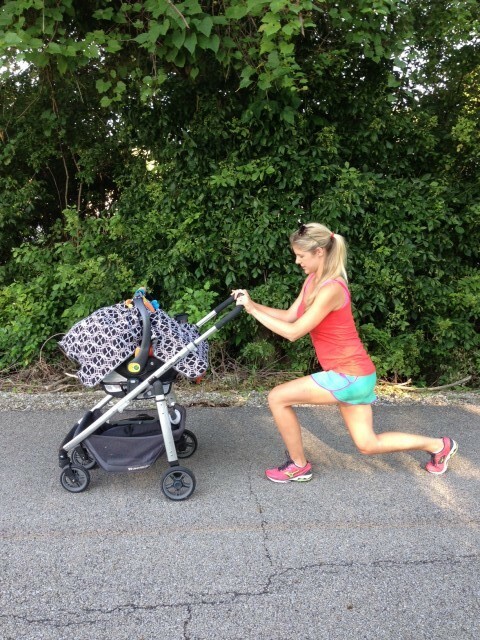 Here’s the workout – now get your stroller out of the back of your garage and start moving! Email me if you have any questions! 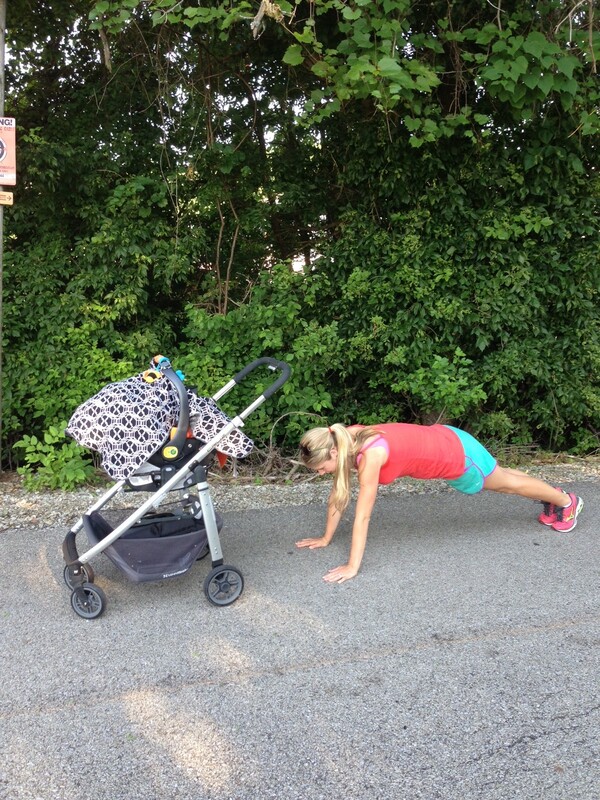 Lets put our strollers to work!